It's only the second day of this year's Consumer Electronics Show (CES) and there has already been an "accident". Amid dramatic reveals of exosuits, foldable smartphones, and suitcases that stalk you around the airport, one poor humanoid's luck took a turn for the worse – it is the latest victim of a self-driving car. The model v4 robot was unveiled at CES by a Russian company called Promobot that specializes in autonomous robot design. Unfortunately, it didn't last long. 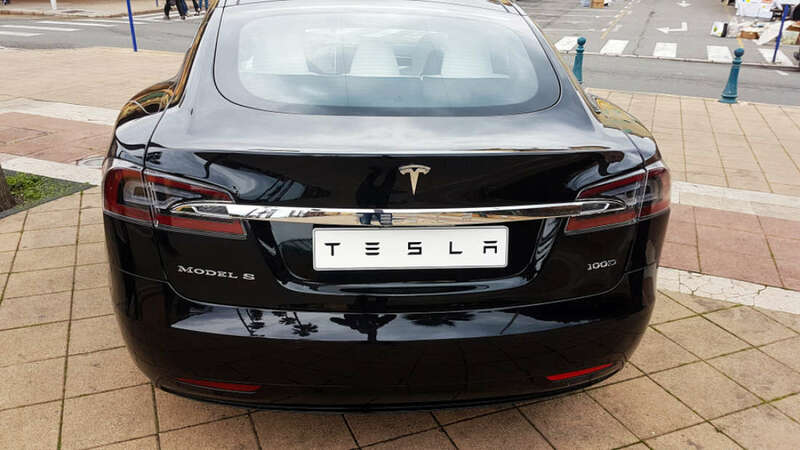 As it was making its way to the booth on Monday evening it was struck by a Tesla Model S.
The company announced the news on Twitter, tweeting "Look @elonmusk at a Tesla Model S hitting and killing a guiltless robot in Vegas. Your car was under a full self-driving mode." According to a spokesperson for the company, the damage is beyond repair. "Of course we are vexed. We brought this robot here from Philadelphia to participate at CES," Oleg Kivokurtsev, Promobot’s Development Director, has said. "Now it neither cannot [sic.] participate in the event not [sic.] to be recovered. We will conduct an internal investigation and find out why the robot went to the roadway." We have to say, the hit looks more like a gentle knock and from the video, the robot itself doesn't appear to be too damaged. In fact, from some of the comments online, it seems we are not the only ones to have our suspicions. If it is indeed a publicity stunt, it wouldn't be the first time the company has pulled off such a trick. In 2016, a Promobot robot made a break for it, darting into nearby traffic in what was presumably a bid to escape its human creators. Only – conveniently – it happened to be broadcasting promotional messages through an onboard sound system at the same time, making many people wary of its true motives. Yesterday's robo hit and run most likely was an engineered PR exercise cooked up by the marketing men and women of Promobot, but that hasn't stopped people cracking a joke or two at the robot's expense. One robot death is a tragedy, a million are a statistic. Never a Robocop around when you need one. There is the interesting moral question of whether they should program the Tesla to swerve to avoid the robot if it means mowing down a human.